The Town of Kirkland holds an HHW collection twice a year, in the spring and at end of summer, to help citizens get rid of their hazardous household waste in a safe and responsible way. Should these dates not be convenient for you, HHW waste can be dropped off at other facilities in the West-Island (Schedule of the HHW Collections). Polystyrene (plastic no6)� - New! 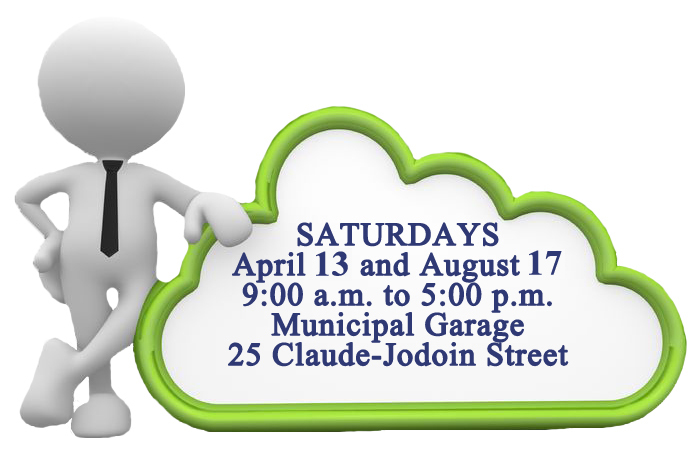 * EPRA-Qu�bec’s Recycle My Electronics program will take charge of all electronics brought to the collection event. Kirkland residents can drop-off specific types of HHW at the Municipal Yard during opening hours and according to its operating schedule.� Accepted items include paints, varnishes, dyes, used oils, filters, electronic equipment, fluorescents and incandescent light bulbs. HHW products must not be disposed of in the trash, the recycling or with the compost. In addition to being harmful for the environment, certain HHW products can be very dangerous. Chlorine, for example, can cause a fire if it comes into contact with liquids. Even in a tightly closed container, it can be a fire hazard as the container may break in the truck from compacting. HHW must not be poured in the sewers because it can adversely affect water treatment and may also find its way into the environment. Avoid mixing chemicals because some may have a reaction and produce toxic gases. It is important to store dangerous products in a well-ventilated area, out of the reach of children, and to get rid of leftovers as soon as possible. When dropping off your HHW, products must be kept in their original containers, otherwise they must be properly identified. 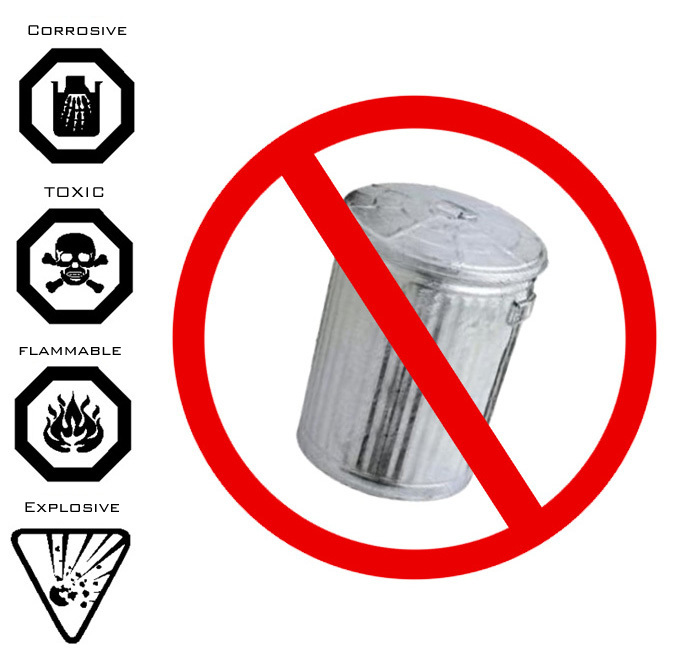 What is a Household Hazardous Waste?